Randall Munroe's past won't stay dead. 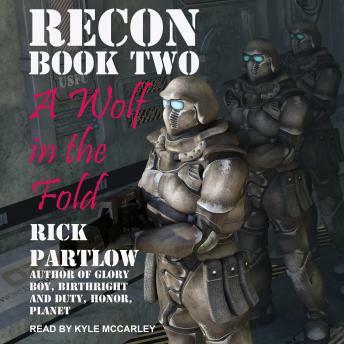 Born Tyler Callas, the pampered heir of a Corporate Council scion, he fled that life and adapted the new identity of Randall Munroe so he could join the Commonwealth Space Fleet Marine Corps' elite Force Recon unit in the war against the alien Tahni Imperium. But when he returned from the war, his old life found him. His mother, Corporate Council Executive Patrice Damiani, tracked him down and tried to return him to her web of control, even if she had to have his personality altered by drugs and psychological brainwashing to do it. Narrowly escaping her clutches, he made a deal with the devil to stay free . . . and now the debt is come due. Cowboy, a former Space Fleet Intelligence commando who fought beside Munroe on Demeter, now works for one of Patrice Damiani's rivals in the Corporate Council and he agreed to keep Munroe safe from her, in return for Munroe using the skills he learned as a Recon Marine in the service of Cowboy's boss. Cowboy has tracked down rumors of an ancient alien artifact that has been discovered by one of the criminal cabals out in the desolate Pirate Worlds, and he needs Munroe to steal it. Munroe recruits a squad of former Marines and resistance fighters he fought with during the war and travels to Thunderhead, a world wracked by storms and hurricane winds, to a city run by the notorious crime boss known only as Abuelo. Their mission is to pass themselves off as mercenaries, try to get hired by Abuelo and then infiltrate his organization and discover where he's keeping the artifact. Cowboy and his Corporate masters see the artifact as a valuable piece of lost technology they can use to strengthen their control over the Commonwealth's economy. Abuelo sees it as a weapon to solidify his power among the other criminal cabals and use against Commonwealth law enforcement. But its true nature may be something none of them none of them can control . . . something that could destroy them all.